Rosmarinus officinalis is the herbal rosemary that most of us are familiar with, but if you add “prostratus” to the name you have creeping rosemary. It is in the same family, Lamiaceae, or mint, but has a broader growth habit and may be used as an elegant ground cover. The aromatic leaves and stems are still useful in culinary application and the lovely pale blue flowers are especially attractive to bees. Read on for more trailing rosemary plant info and tips on how to use this plant to enhance your garden. Trailing, or creeping, rosemary is a cultivar of the herbaceous shrubs of Mediterranean origin. The evergreen perennial is useful trained over fences, rockeries and raised beds. It is an attractive ground cover over time with its fine, leathery foliage and sweet flowers. Rosemary ground cover provides scented foliage which helps minimize weeds and is an excellent foil for other dry landscape plants. Rosemary is an excellent xeriscape plant with high drought tolerance once established. It combines well with most other perennial herbs and drought tolerant plants. Prostrate rosemary plants can grow up to 3 feet in height and 4 to 8 feet in width with beautiful trailing stems that arch over and have a useful draping nature. Leaves are leathery, pale grayish green and have a pungent scent and flavor. 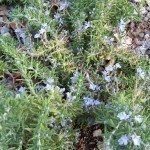 Rosemary ground cover is hardy to United States Department of Agriculture zones 8 to 10 but can be used in colder climes in containers and brought indoors for winter. It has numerous uses, from culinary to decorative, and rosemary was also thought to improve memory. The key to knowing how to grow creeping rosemary is to ensure superior drainage, as they are very susceptible to root rot in soggy conditions. Plants can thrive in compacted soil once established but young plants must be in loose soil to encourage root growth. In compacted soils, aerate around the root zone to encourage porosity and allow roots oxygen. Prostrate rosemary plants are native to dry areas of the Mediterranean. 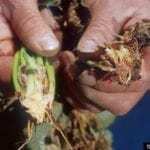 As such, it requires well-drained soil and even thrives in areas of low fertility. Plant in light, porous soil, adding some sand or grit as needed to increase percolation. 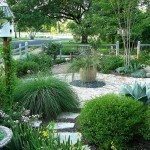 The shrub does well in containers but be careful not to overwater. Allow soil to dry out completely before adding moisture. Choose a location with 6 to 8 hours of bright sunlight. Rosemary can be challenging to grow in the home interior. Where possible, place container plants in a sunny location where humidity is not high. In shoulder zones, you can plant the herb in a sheltered location and mulch heavily around it, covering the plant at night during cold snaps and it should survive light freezes. If some stems succumb to cold weather, trim them off and allow new growth to come from the base. You can prune the plant lightly to encourage branching or even train it over a structure for an appealing effect. Rosemary ground cover can also be left to scramble over rocks and other areas as an effective herb barrier and attractive living mulch.